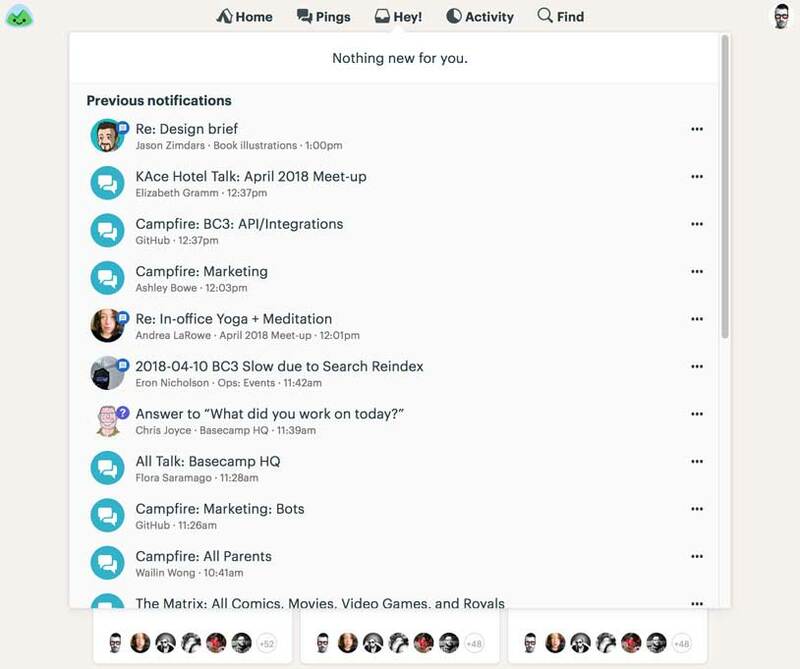 Basecamp combines all the tools teams need to get work done in a single, streamlined package. With everything in one place, your team will know what to do, where things stand, and where to find things they need. Create to-do lists for all the work you need to do, assign tasks, and set due dates. 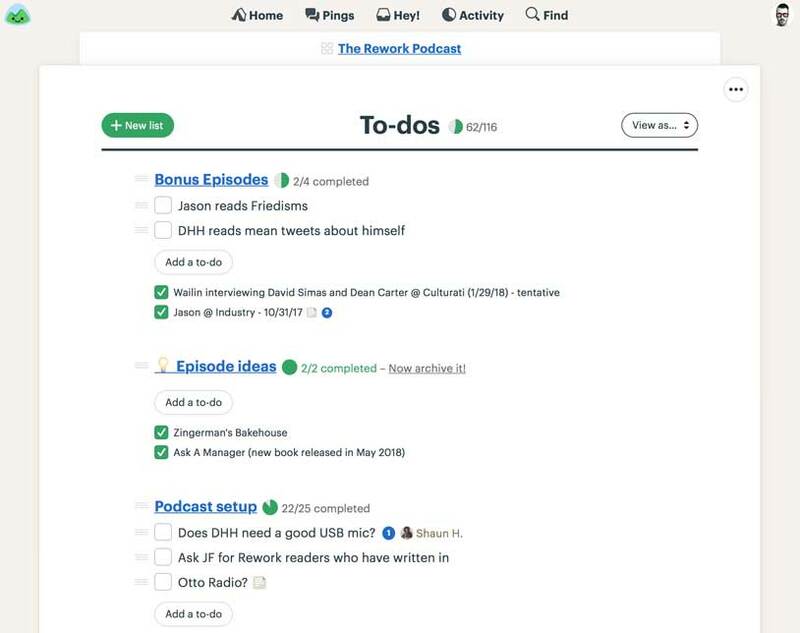 Basecamp will follow up on overdue tasks for you. Keep the entire conversation about a specific topic together on a single page. 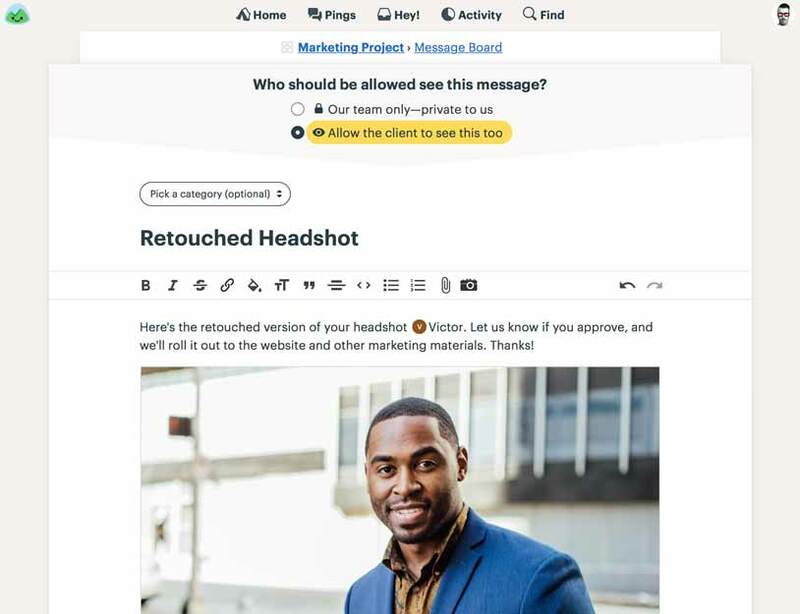 No more digging through email or trying to reassemble a story from a series of fragmented replies. 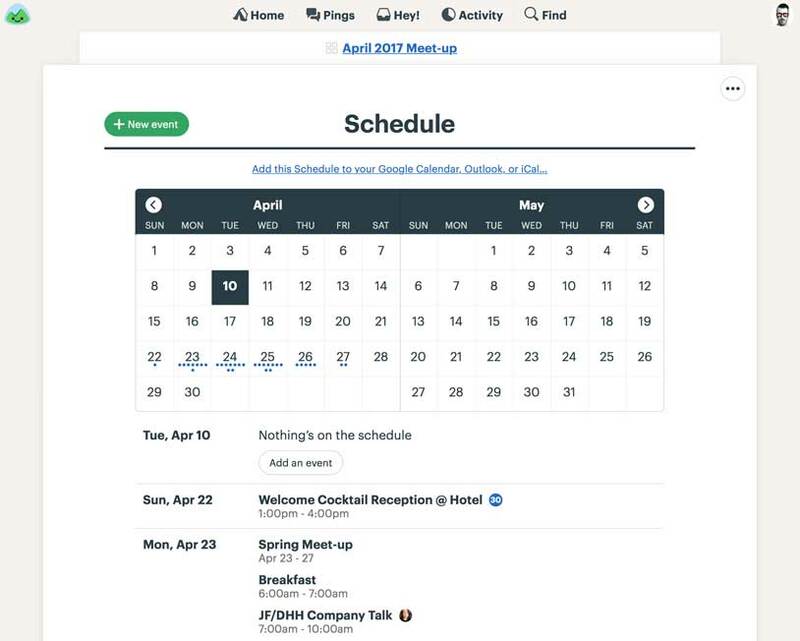 Every project in Basecamp includes a schedule that displays any dated to-dos and events for that project. Everyone on the project can see it, so they’ll all know what’s coming up. 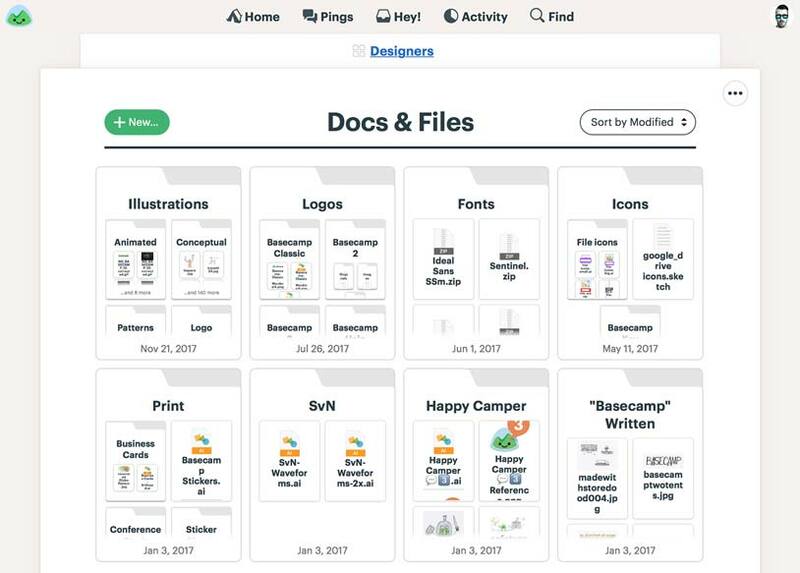 Every project includes a space to share documents, files, and images. Since everyone on the project has access, people will know exactly where to find everything. 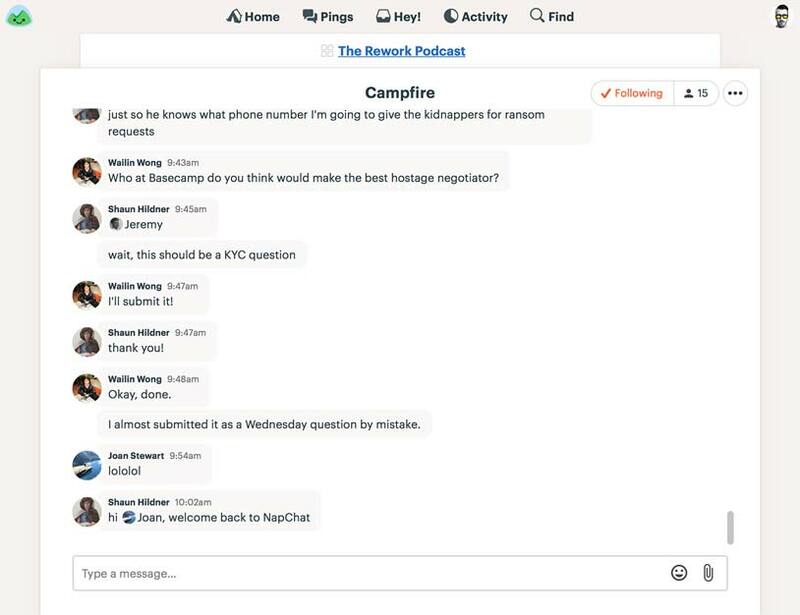 Basecamp’s real-time group chat (Campfires) lets you ask quick questions and get equally quick answers. All without reaching for a separate app. Stop wasting time on status meetings. Checkins let you ask your team questions on a regular basis, with all the replies rolled up in one easy-to-digest thread. If you work with clients, you'll love this. Work with clients and your team in one organized place and get everything on the record. Is the project going to be done on time? Are people stuck? 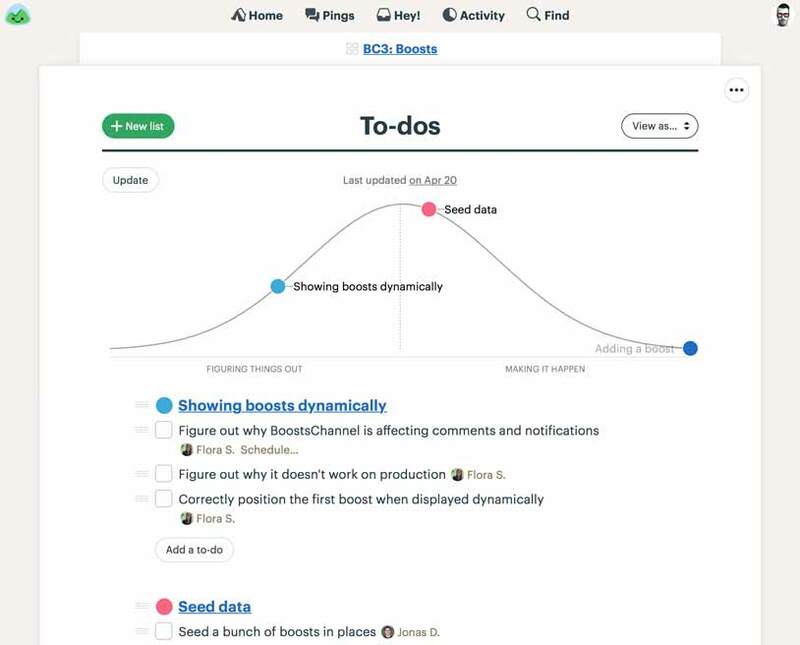 Use Basecamp's exclusive Hill Charts to see where projects really stand. Need to have a private conversation with a coworker? 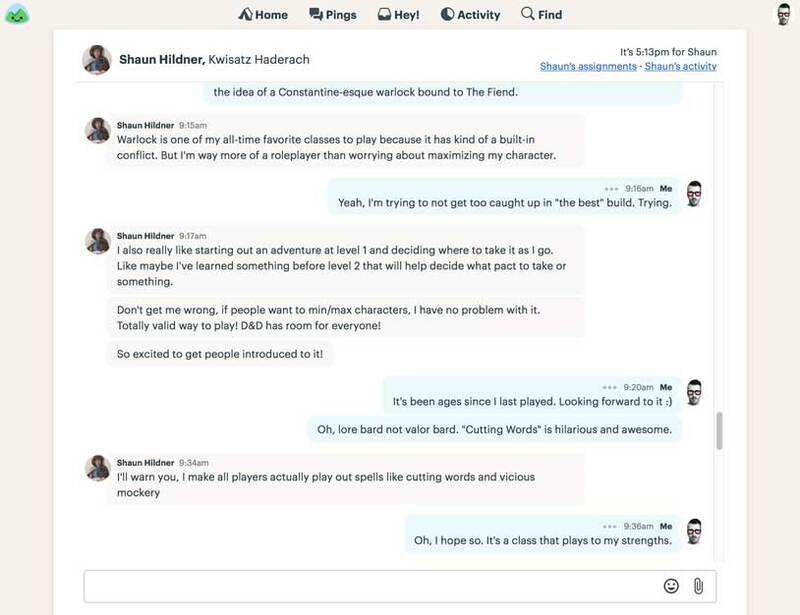 Pings let you chat in real time with anyone on the same Basecamp account. have fun with sounds, video, and emoji! Important emails shouldn’t stay stranded in an inbox. Forward them into Basecamp where you can discuss with your team. Stop wondering what's going on and know instead. Reports cut across every team and project to give you quick insight into exactly where things stand. Catch up on what's new without having to juggle apps. The Hey! 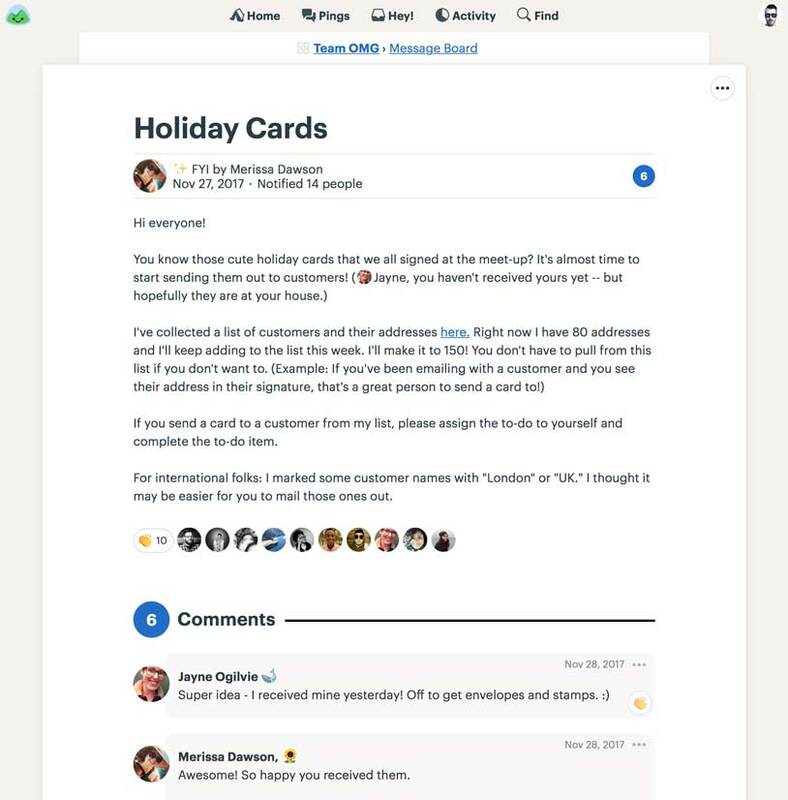 menu is your one stop shop for processing new conversations, tasks, comments, and more. Powerful search lets you find what you’re looking for without scrolling through thousands of results or rummaging through a bunch of different apps. Customize every project. Pick the tools you need and name them what you want. Embed YouTube videos, Tweets, and more in messages or comments by pasting their link. 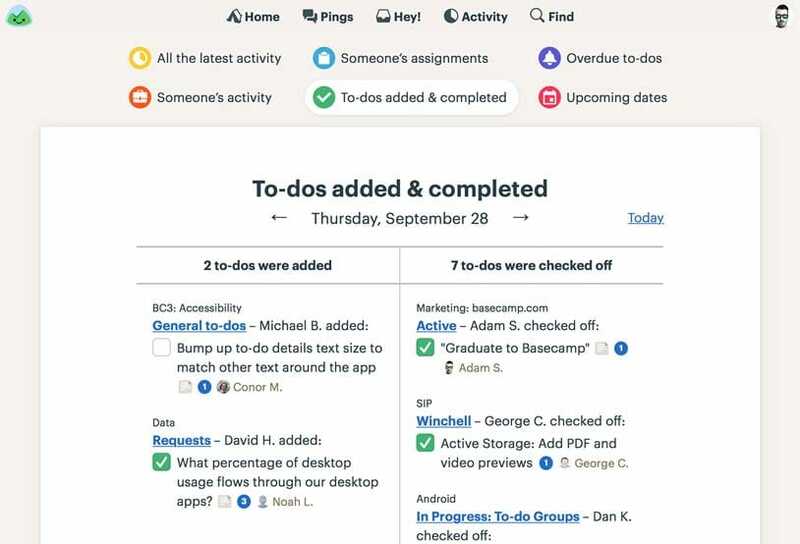 See your assigned tasks for every project in one place, ordered by due date. Themes! 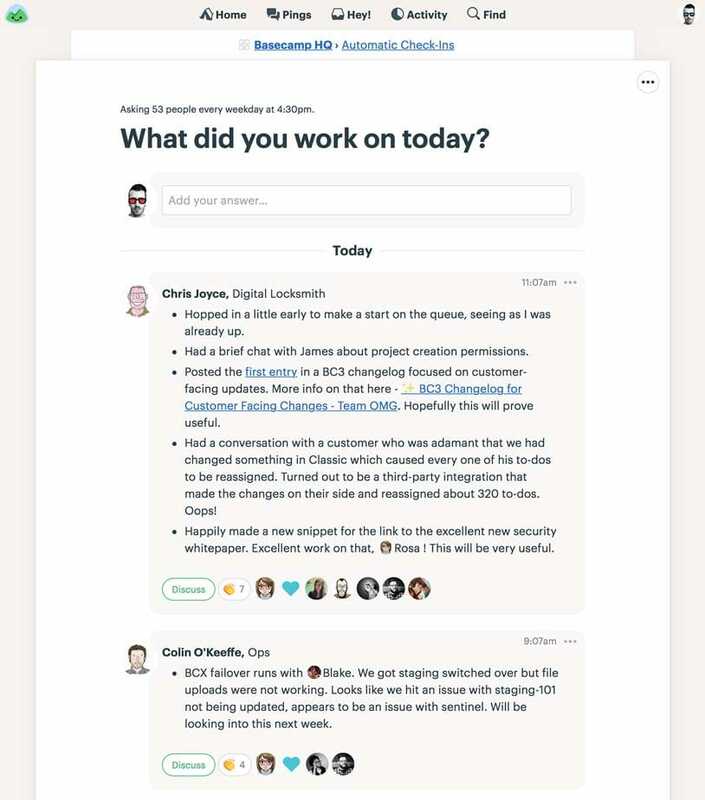 Change the color of Basecamp’s interface to make it yours. Get a digest of daily activity delivered to your inbox every morning. Bookmark important messages, to-do lists and more for quick and easy reference. Create public links to share with people who aren’t on your Basecamp. See an agenda of everything you’ve got coming up across all projects. Notification schedules help you to keep work from creeping in to your weekend. 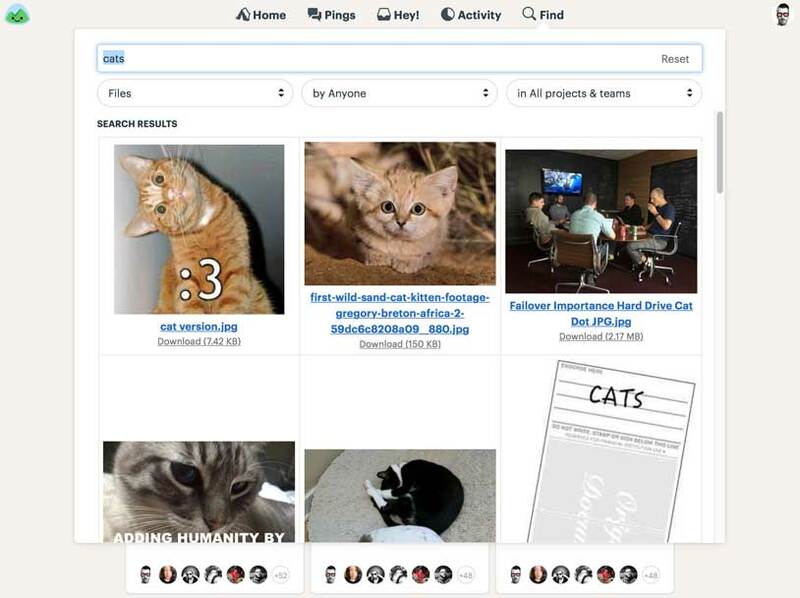 View teams & projects as cards or in a condensed list view. 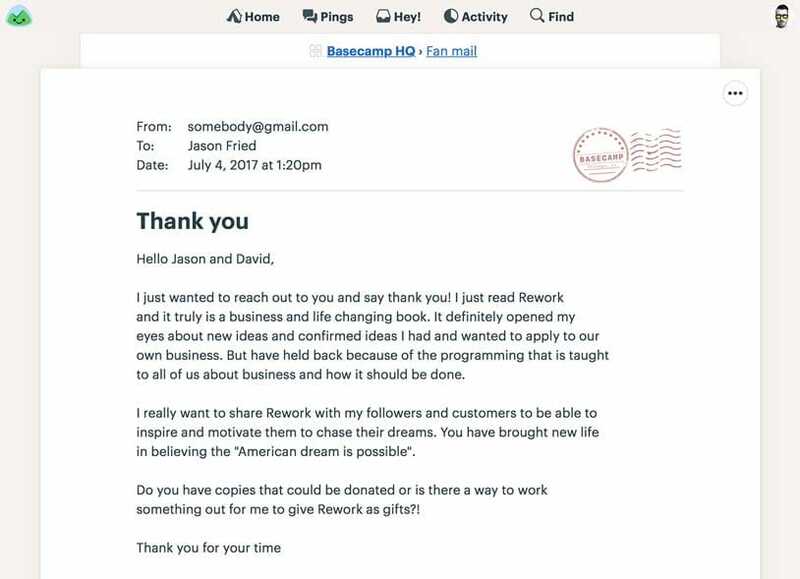 If you’re still wondering if you can do something in Basecamp, the answer is YES! 4,000 businesses signed up in the last week. Join them!